To maximize your overseas shopping experience, we have specifically selected five of the best shopping sites and the most reputable auction site from Japan. In addition to the following recommended stores, we also provide a large selection of stores from our Mall Directory located via the 'Other' tab. You can either bid and buy directly on our recommended stores, or fill out our 'Buy for Me' request form. All items across our recommended malls have translation tools and summary pages for quick and easy understanding. 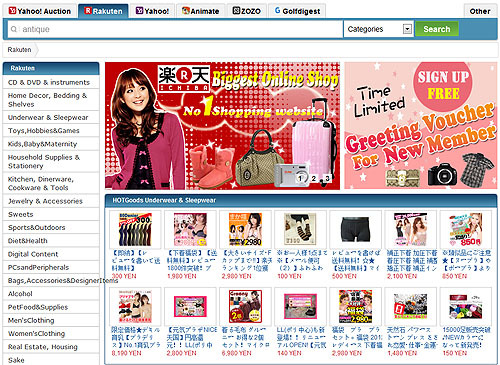 Rakuten Ichiba is the largest and most popular online shopping mall in Japan. 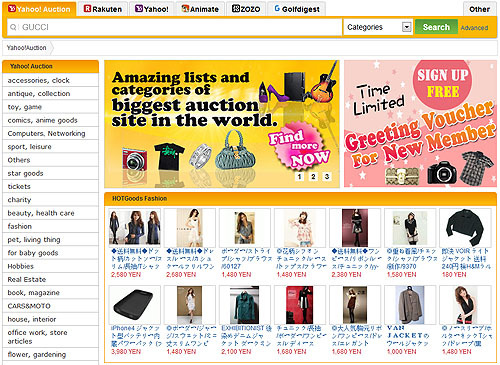 Through Mogan Shopping you have the opportunity to join Japanese customers and shop at Rakuten. You can now have access to purchase many high quality authentic Japanese products, which can be shipped to your home worldwide. Yahoo! 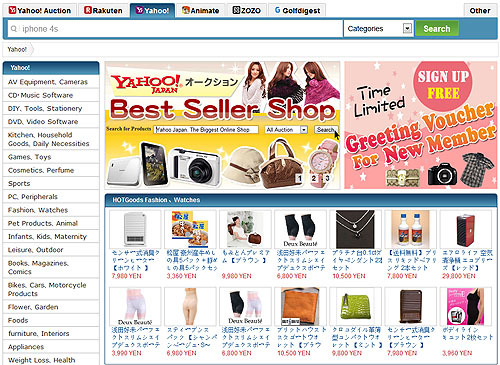 Japan shopping is the official online shopping website based on Yahoo Japan, providing an incredible selection of items from a vast variety of manufacturers, divided into specialty stores and sellers across dozens of categories within each store. In case you were unable to find your required item from our recommended stores, you might be able to find it from our other specially selected Japanese stores (located within the Other tab). (My Account > Buying > Buy For Me). Mogan Shopping will handle the rest.